How I started Praying Everyday. How I started Praying Everyday and how you can too. I’m putting this story out there knowing fully well what people’s opinions are like when their identity is concealed and their judgements are wild and free. I’m not going to sit here and pretend a mean comment isn’t going to hurt my feelings, or that they’re all hypocrites, because neither is true. But what I do know to be true, and what I’m more concerned with- is that one person who will connect with this story and change because of it- even if just a little. It all started on some random afternoon in January of 2009, I’m not exactly sure what I’d done differently on that day, but what I do remember is that I was 14. I’d known how to pray since I was five, possibly six, but I never learned how to maintain it on a daily basis, and here I was at 14, fully able to pray but not doing so. My sister and I doing something together in the basement. And when we were caught, we’d be told to go pray and we’d go pray, getting up sluggishly, lazily, complaining as if our parents were telling us to do a most horrid thing imaginable to a child. As children, we knew that prayer-salat- was right, and good and we should do it. Yet, for some reason, my attempts at doing it daily never held up. I would stick with it for a week or two, and then there would be slip ups, and sometimes the slip ups would last for days, maybe even a week. For some reason, I couldn’t take my prayers seriously. Tomorrow, tomorrow, tomorrow. That was always my excuse, and somewhere in my mind I’d buried the fact that I should be praying regularly by now at age 14 and that tomorrow was actually yesterday for me and that there is no time, was no time left to leave anything for tomorrow. And yet, there was still this sluggishness, the 100 pound boulder that would seem to sit ontop of me whenever I remember that it was time to pray, and on that afternoon in January, my sister and I started a seemingly innocent chat about how we should commit more to our prayers, and then somehow that turned into a battle between the two of us and who would be able to do it longer. In that moment, against the snow-glow against our window, we sketched boxes on a blank sheet of paper; the lines were crooked and uneven and we only made enough for a couple of weeks. We didn’t even think to think that we could pray daily for longer than a couple of weeks. It was supposed to be a finite- a limited– number of days that we would keep our commitment to this strange-daily-praying-thing. We didn’t even have that intention or thought- it was too ambitious of a goal for us to even consider. Praying every day? How preposterous! 21 days is more than enough! So 21 boxes we made. And that’s how it started- somehow between that first day of crossing off the first box I haven’t stopped crossing off boxes. By the time my sister and I had reached the end of the uneven chart we’d made at the end of that January, we realized that this “praying thing wasn’t so hard” after all. It suddenly wove itself into our daily lives and it became something that we just did, regardless of what went on in our lives. It became effortless and there were no boulders sitting atop my shoulders. Obviously I still get lazy about praying sometimes, but it’s a different kind of laziness. It used to be I was too lazy to pray, now it’s more like I’m too lazy to pray now, but I know with a deep conviction that I won’t be going to bed until I do. And that’s how it happened. It started with crossing a box each day. It was unintentional. It was part conversation, part argument, and part bet with my eleven year old sister. That’s how I pray everyday. I just do. I don’t think about tomorrow. I don’t think about yesterday. I just think there is a prayer that I need to do today, when can I fit it in, and then I just do. It takes a couple of minutes and when I’m done I have lost so much. I lose so much of my self-centeredness, I lose my ego, my selfishness, my greed, my jealousy. I lose all the junk in my head. I feel like I’ve just taken a shower. And if that’s not what you’re getting from salah then that’s even more reason to keep going at it, even when you feel like nothing is happening. And that goes for spirituality too. Now that I’ve rambled enough, I want to give you this free 30 Day Prayer Challenge! When I get my period and I don’t have to pray, as relieved as I am that I don’t have to stop wherever I am and pray, after two, three days I feel… mucky. I don’t even know how to describe it…restless? I think restless is a better word. I just feel like I don’t know what I’m doing anymore. I don’t feel centered. I don’t even know how to describe the feeling, but that’s my experience with prayer. That’s my story and all that I can share. I hope this benefited you. I hope this helped shed some new light for you. Also, just so you all know- the prayer pdf costs $1.29 on my Etsy store, so take advantage of it being free on here and if you have a cousin or friend who’s going to buy it don’t tell them it’s free on here and just shhhh- just kidding. Feel free to share, and I’d love to hear your stories about how you began to pray/ where you’re at in your prayer journey at this moment. The fact that this is even considered news is crazy, but the reality is, I didn’t know how to feel about it when I saw it either. If you don’t know what I’m talking about, then boy are you missing out! A Syrian immigrant from Detroit posted a music video in her hijab and the world went crazy about it. When I first came across this video, I didn’t know how to feel about it. It was a mixture of it’s great that there are some hijabis breaking stereotypes, but also, the message sounded a bit too extreme in my opinion. It sounded a little like a man-hating chant to be honest, but the beat was pretty sick, and those dance moves were pretty cool too. The pregnancy part kind of weirded me out a little, actually a lot, but music videos are always a sight. Despite that, I still enjoyed the song, and it was whatever- but apparently nothing is whatever when a muslim does it now a days. The reaction in the comments section was like a battlefield- as per usual. Another digital crusade- you had muslim haters there, the haram police, people who were confused and people who were just straight up trash talking her for no reason and calling her out on being such a sinner. The real question on my mind is; would this have been as controversial if she wasn’t wearing a hijab? Imagine if she’d posted these videos with her hair done and dressed scantily with an “Allah (swt)” tattoo on her shoulder, would it have been just as controversial then? Most likely not. 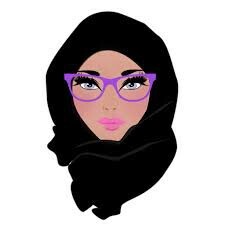 Muslims judge muslim women without hijabs in a more lenient manner. She would have been labeled as a “bad muslim” and her video would’ve just become one of the many music videos on youtube today. I think the real reason Mona Haydar’s music videos became controversial is the fact that she is dressed like most modest orthodox muslims now a days, and the message she’s trying to send isn’t that “she’s going to do what she wants and not care about anything” the message she’s trying to send is that ” I’m doing whatever I want without trespassing the boundaries of Allah so none of you can say anything to me” in other words, she’s trying to say that I make music, I wear a hijab, I’m an exemplary muslim, and this is allowed by my religion and you have to accept it at a time when in some muslim cultures, hearing a woman’s voice alone is considered haram. At a time when even a woman showing her face, her identity, is seen as haram and twisted into the religion by the same sheikh’s who are sending Mona DM’s on her Insta. It sounds like a joke, it should be a joke, but is unfortunately, a reality in many muslim communities today. The only real problem I have with Mona Haydar’s second song, is that I wouldn’t feel comfortable having it blare out of my car whilst driving because I know that others will only hear the “he’s a dog, he’s a dog” which is kind of offensive. And I know that artistically speaking, the video was talking about rapists and sexual offenders and such, but at the same time it still sounds somewhat vulgar to me for some reason. And while I totally dig the beat and the fact that Mona Haydar is still going at it strong, I can’t say that I will be rapping with my hijab anytime soon, but I’m definitely glad some other hijabi is doing it out there so that I don’t get as much heat if I ever wanted to do it. Bottom line, whether you hate or love Mona Haydar- the girl is creating culture and a reality of culture is that the more you see something, the more it becomes normal- the more it becomes culture. And for western muslims, we have no culture, and we need more things like this, instead of forcing muslim artists able to only convey their art Hollywood style, we should let them express themselves the way they want without de-islamifying them for it. We can’t have a strong community without a solid culture to bond us, and that’s what artists like Mona Haydar do. Also, your girl Dina Tokio seems to approve! I find it really cool when I see muslims supporting other muslims like this. Quick Bio of Mona Haydar: Mona Haydar is a poet, activist practitioner of Permaculture, meditator, composting devotee, mountain girl, solar power lover and a tireless God-enthusiast. She practices a life of sacred activism, poetry, contemplation and advocacy for living gently upon the Earth. She teaches classes and retreats on mindfulness and Islamic spirituality, leads workshops on creative writing and performs her poetry. Her words have found homes in the hearts of seekers, wanderers, poets, artists, lovers and stewards of the Earth. She grew up in Flint, Michigan, graduated from the University of Michigan and has since lived in Damascus where she studied Arabic and Islamic spirituality then went on to live in the mountains of Northern New Mexico at Lama Foundation and in the Redwood forest of Northern California with her husband and son. Mona and her husband, Sebastian set up a stand in Cambridge, Massachusetts with signs that read ‘Talk to a Muslim’ ‘free coffee and donuts’ ‘free conversation’ and ‘Ask a Muslim’ encouraging open and loving dialogue which garnered the attention of NPR, Al Jazeera, The Boston Globe among other media outlets. Currently she is working on her second collection of poems and her first work of nonfiction on Islamic Spirituality through the lens of other spiritual traditions. She is working towards her Masters in Divinity. Mona helps to grow a more universal love with her activism, writing, performing and teaching. http://www.monahaydar.com. More about Mona. I eat Halal, meaning that often times, I can not eat meat depending on where I’am eating, and places like McDonald’s and Burger King are considered out of network for me, since the only thing I can eat there is their salads and fish sandwiches.